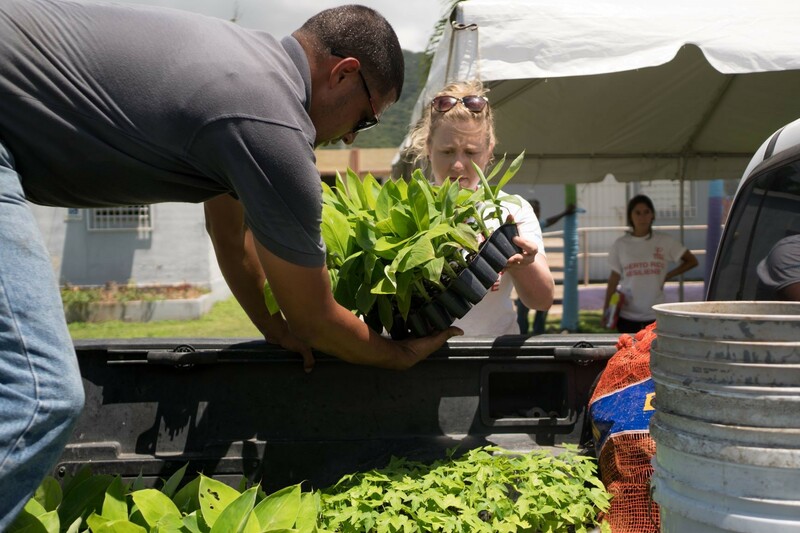 Editor’s note: To mark the one-year anniversary of Hurricanes Irma and Maria, the Foundation is exploring lessons learned in how philanthropy and nonprofits can help a region bounce back and rebuild after a disaster. Here, a look at the fundraising strategy we used and learnings to help inform pre-disaster planning and funding ongoing recovery work. Last hurricane season challenged this community in ways we hadn’t seen in decades. Yet, even before the storms hit, we saw inspiring signs of hope as people from all walks and regions stepped up, eager to take care of one another. More than 11,000 individuals, corporations and foundations from around the world helped us raise $6.4 million for relief, recovery and rebuilding efforts throughout Greater Miami, the Florida Keys and the Caribbean islands. Now, in the midst of another active hurricane season and with our thoughts on our neighbors in the Carolinas, we reflect on the people who stepped up and the collaborative efforts formed that continue to motivate and inspire. Individuals, corporations and foundations from across the country reached out offering aid and support, even before the storm hit. Particularly moving was just how mindful they were, asking where the biggest needs were and where their resources could have the most impact. Months after the storms had passed, the donations and phone calls kept coming from those wanting to help Greater Miami through the long haul. We were just as motivated by our fellow Miamians and local nonprofits, who with little to no experience in disaster relief, stepped up to do whatever was needed to help their neighbors. Take Valencia Gunder for example. She’d worked as an organizer with Miami’s homeless community and as a climate change activist, but saw a bigger need. So in the days and weeks after the storms, she and her crew of volunteers from Make the Homeless Smile, a grantee, made their way across Miami’s urban core, providing more than 20,000 meals to the city’s most vulnerable residents. Today, with grant dollars from The Miami Foundation, she’s created a community emergency operations center to act as a central point for the distribution of food, water and supplies, determined to help our city be better prepared for the future. 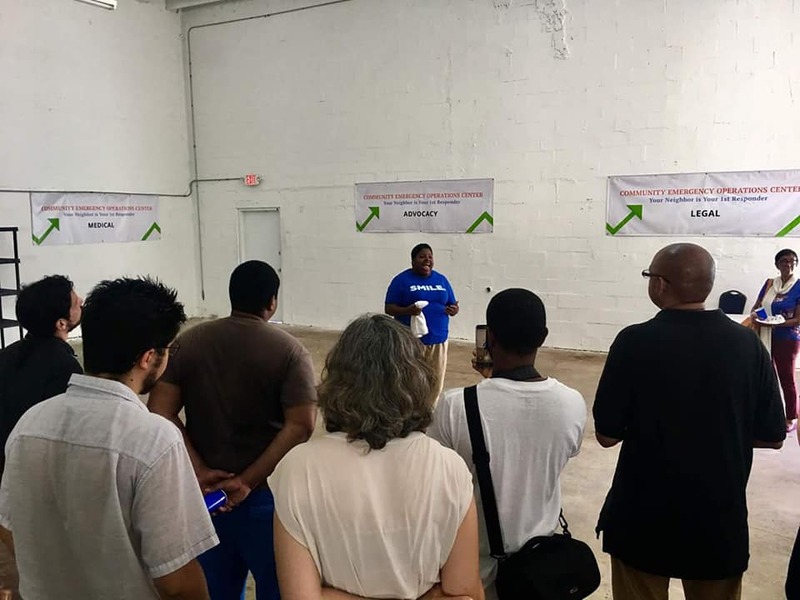 Valencia Gunder, of nonprofit Make the Homeless Smile, gives a tour of the warehouse near Opa-Locka that will be used as a "community emergency operations center" following a hurricane or other disaster; courtesy of Valencia Gunder. From the beginning, a number of community leaders, organizations and companies stepped up wanting to work together to help different parts of our community. Forging these collaborative partnerships would allow us all to unite and bring our respective strengths to the table. Together, we could do more. One of the best examples is the U.S. Caribbean Strong Relief Fund, established to support Caribbean nonprofits in their efforts to help residents and communities cope and recover. Marlon Hill, a former trustee of the Foundation and Miami Fellows alum, approached us with the concept. A Jamaica-native with a deep understanding of the shared heritage and history that exists between South Florida and the Caribbean, Marlon championed the initiative and was key to raising more than $488,000 for ongoing recovery work in the region. 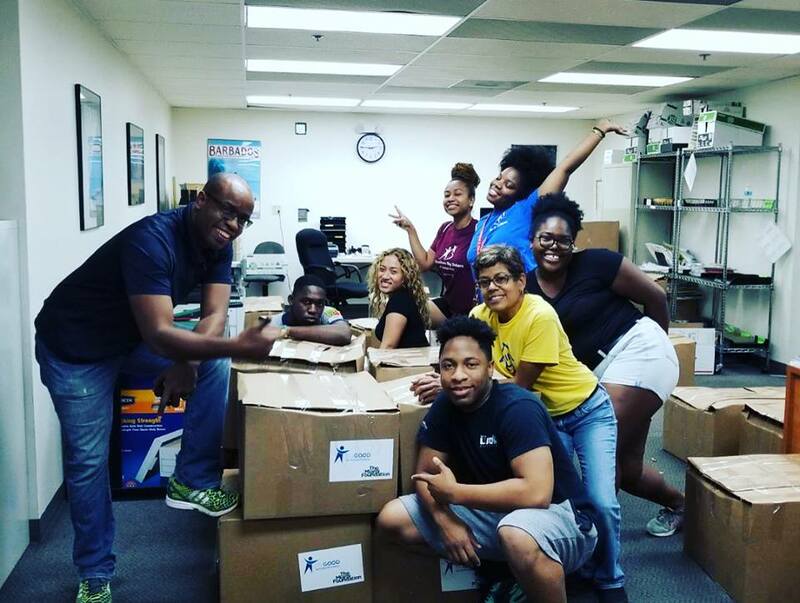 Marlon Hill and volunteers package hurricane relief supplies being shipped to Caribbean islands; courtesy of Marlon Hill. The partnership with Walmart and the Walmart Foundation has also helped fuel considerable relief and recovery efforts in Puerto Rico. Walmart and the Walmart Foundation approached us about a month after the hurricanes. They understood their unique position to reach Americans from coast to coast to encourage them to donate, but needed a partner to administer the efforts. Together, we created the Walmart Puerto Rico Relief Fund. Walmart matched every dollar donated with $2 up to $1 million, raising a total of $1.9 million. Those funds went directly to renowned disaster relief nonprofit Mercy Corps, which is using the grant to build 15 resilience hubs in partnership with on-the-ground organizations and to support long-term disaster preparedness across the island. Also inspiring to see was the consortium of local organizations that formed to help vulnerable populations. 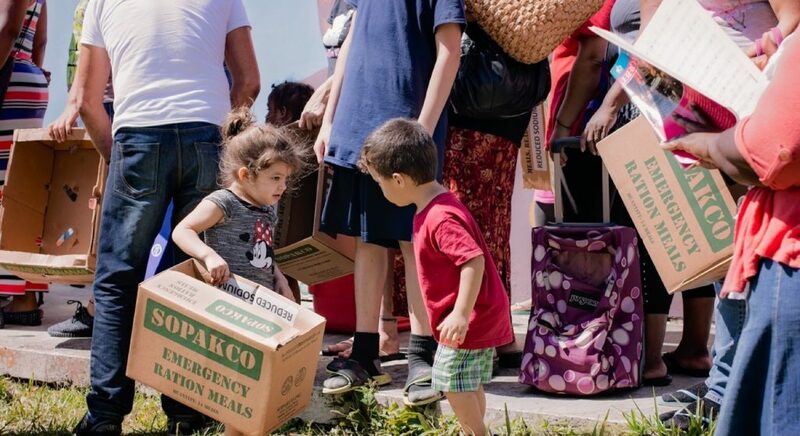 Spearheaded by New Florida Majority Education Fund, the Irma Community Recovery Fund supported relief efforts for marginalized communities, ensuring residents had access to critical services, resources and capacity to organize social justice efforts in the short- and long-term. These awesome partnerships—be they with a person, a company or another foundation—have proven most effective to maximize impact and are encouraging. There is no doubt that the Greater Miami region has made significant progress over the past year. Yet, in the midst of another hurricane season, there is still much work to be done. Hurricane Irma was devastating for many, but the truth is that, for Miami-Dade, it was only a dress rehearsal. It could have been much worse. The storms incited our entire community to face critical ongoing challenges that exist daily but were particularly heightened due to the hurricanes. During Irma, the harsh realities our most economically vulnerable neighbors experience was underscored. For many, basic storm preparation was financially out of reach, and lost wages and unexpected repairs were catastrophic. Miami-based nonprofit Bridge to Hope gave out 20,000 bags of groceries to locals after Hurricane Irma. If there’s one silver lining to last year’s challenges, it’s this: we have witnessed an exceptional level of collaboration and conversation across sectors and organizations. Formality and silos are being pushed aside. Organizations are coming together to identify gaps in service, ongoing needs, and how assets can be pooled so groups can better count on one another. Through a dedicated Robust Recovery working group as part of Resilient 305’s participation in 100 Resilient Cities, public officials and nonprofits are identifying how the sectors can better collaborate. They are looking at opportunities to share real-time information with emergency response teams, create neighborhood networks to identify high-risk families in advance and identify specific places where relief materials can be provided that are accessible. There’s truly only one way for us to become stronger and more resilient as a community: we must do it together. Rebecca Mandelman is vice president for strategy and engagement for The Miami Foundation.